Q: Will this product trigger any error message on my BMW dashboard? 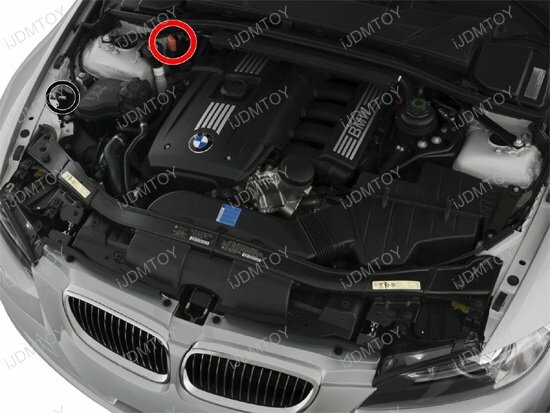 A: No, this is an add-on product means it will not replace any of your existing components on your car, therefore it will not trigger any error on dashboard. 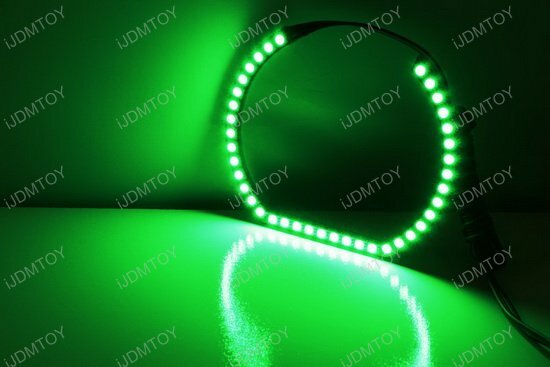 A: Here is a diagram showing you how to install these LED halo rings. 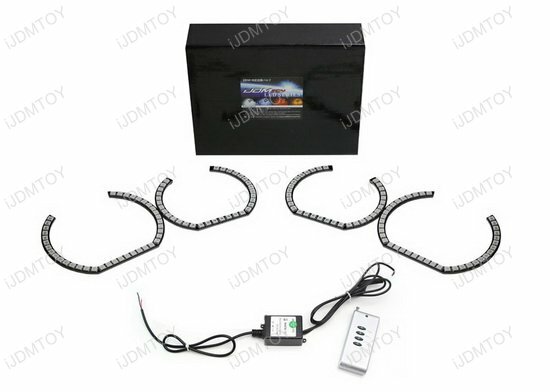 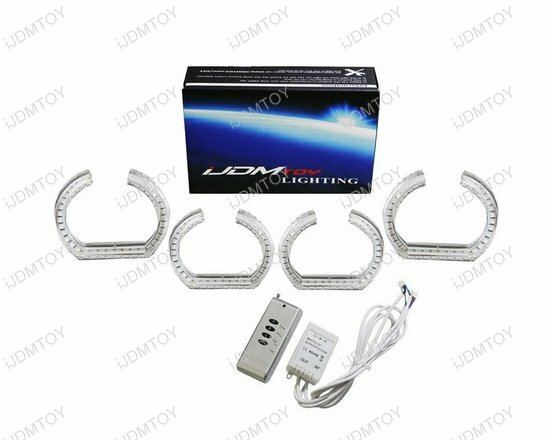 Please make sure you must first connect the LED rings to the metal module box before connecting them to the remote control. 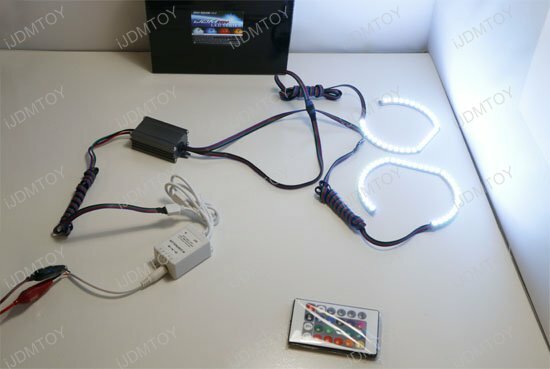 A: Tap the red wire to the battery positive terminal and black wire to ground. 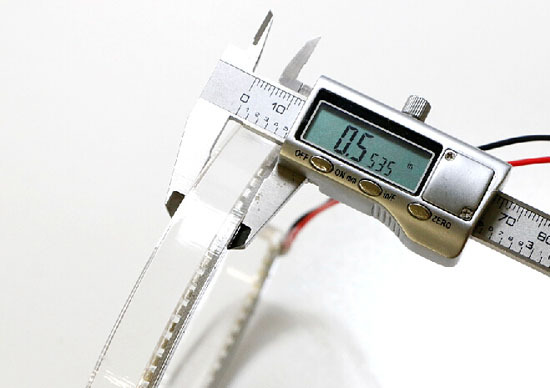 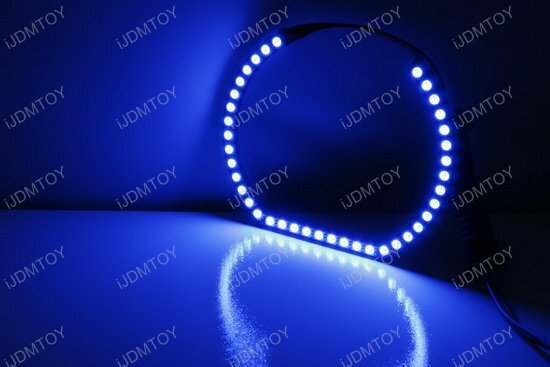 A: Please double check to make sure you connect the wires correctly as shown below. 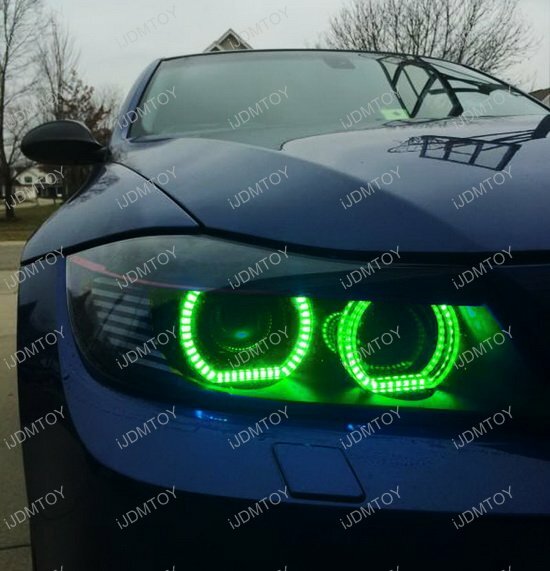 Check out How to Hook Up RGB Angel Eyes for general troubleshooting tips. 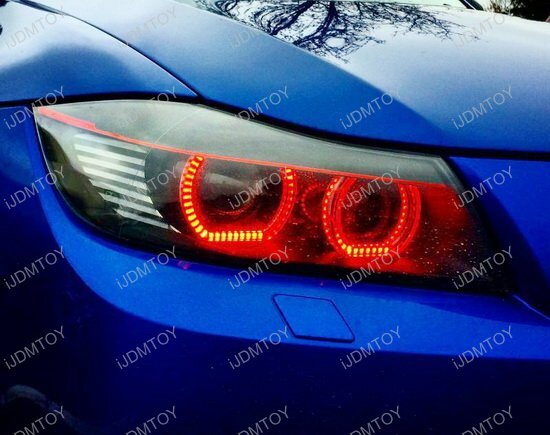 There is a brand new BMW trend in town and that's the U-ring horseshoe shape LED halo rings that practically blew up the car world! 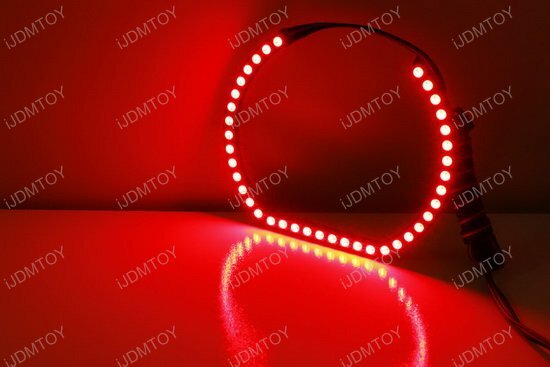 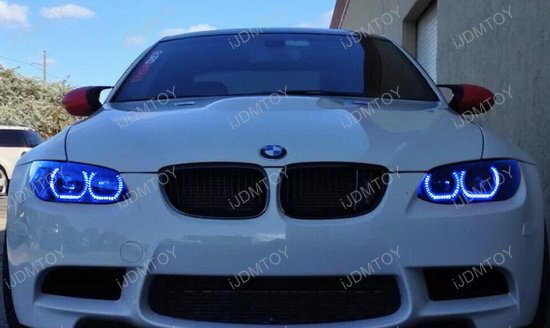 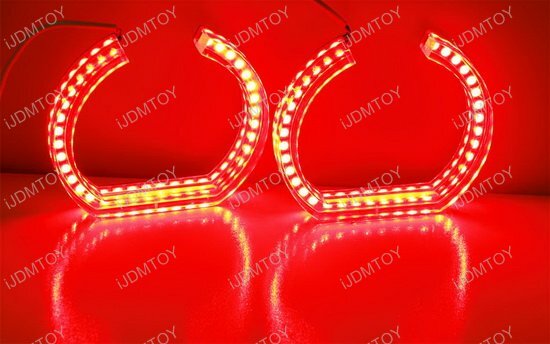 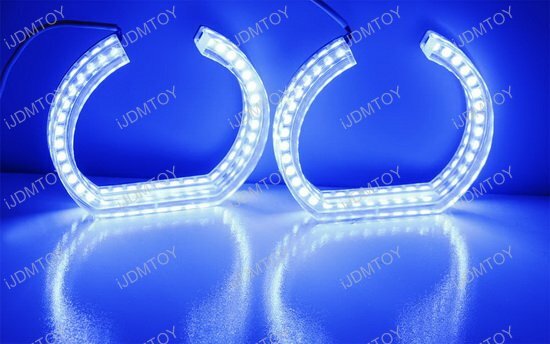 Introducing iJDMTOY's DTM style U-ring horseshoe RGB LED halo rings directly inspired by the all new BMW F30 3 Series, F32 4 Series 4 and the F15 X5 's OEM LED angel eyes. 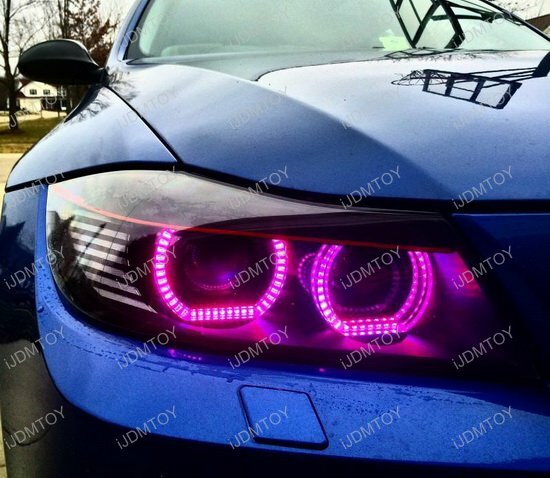 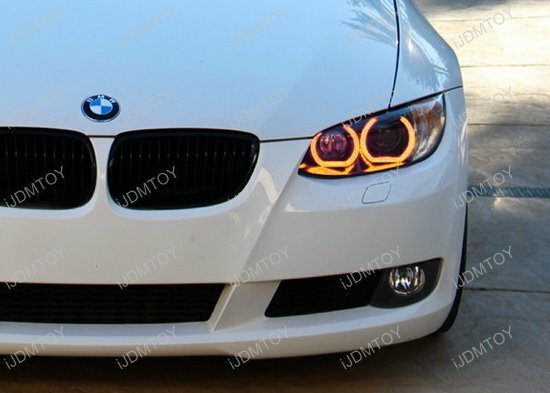 These DTM style RGB LED halo rings will give your Bimmer a super fresh and unique look. 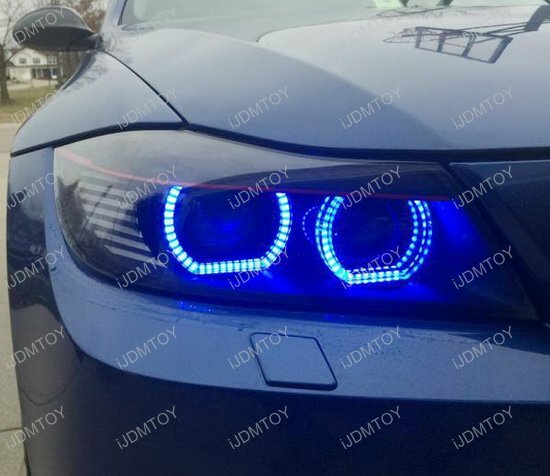 While this DTM style halo rings is super hot, they're still pretty rare at the moment, giving you a chance to be one of the first people to retrofit this look on your own BMW. 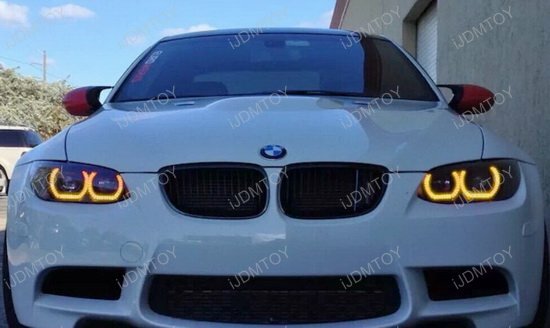 Either option gives you an incredible unique look so you can wow everyone on the road.